The hues were carefully chosen, and can be blended together in any combination or worn individually. 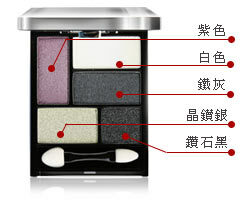 The silky, ultra-fine powder is so smooth that the color glides onto the skin giving a soft satin finish! Talc, Mica, Helianthus Annuus(Sunfolwer) Seed Oil, Triethylhexanoin, Maganesium Stearate,Synthetic Wax,Petrolatum,MethylParaben,Propyl Paraben, Jojoba Ester, Sodium Dehydroacetate .Tocophery Acetate, Phenoxyethanol/Chloroxyenol, Lecithin, Hydrolyzed Silk Protein, Mica / TitaniumDioxide / Iron Oxide, Iron Oxide Red, Iron Oxide Black, Polyethylene Terephthalate Acrylates Copclymer, Calcium Aluminum Borosilicate / Titanium Dioxide / Tinoxide. 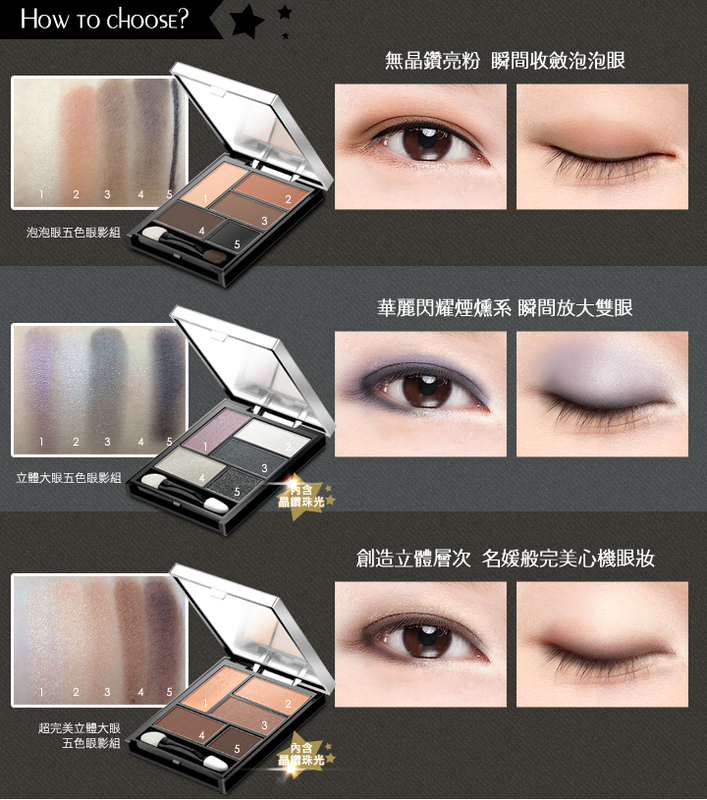 Use fingertip or applicator to apply the eyeshadow on eyelid. Apply in combination or worn individually.